King Charles II of England (1660-1685); After the execution of King Charles I (1649), Charles' family lived in France. Not long after the death of Oliver Cromwell and his son a number of MPs decided the only way to create a stable country was to restore the monarchy. Charles I's eldest son, also named Charles, was brought back to England by Edward Montagu to reign as Charles II. Britain fully entered the slave trade in 1660 when Charles II helped found a new company called “Royal Adventures into Africa”. The company was granted a monopoly on the British slave trade for 1000 years, and its members included the royal family and the aristocracy. Two years after its foundation the company had made a profit of £1m [In 1660, £1,000,000,000 0s 0d would have the same spending worth of 2005's £76,770,000,000.00 or UK£ 76 770 000 000.00 = $121.964499 billion U.S. dollars or $121,810,959,000]. 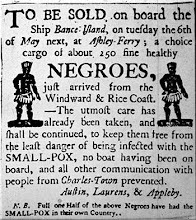 “We hereby for us, our heirs and successors grant unto the same Royal African Company of England…that it shall be and may be lawful to….set to sea such as many ships, pinnaces, and barks as shall be thought fitting….for the buying, selling, bartering and exchanging of, for or with any gold, silver, negroes, slaves, goods wares and manufactures…. 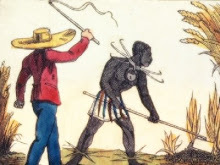 By 1689 the company had transported 90,000 human beings as slaves in perpetuity, from the west coast of Africa to British possessions in North America and the Caribbean. 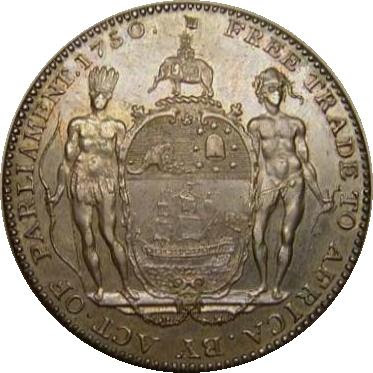 The slave trade continued to grow and the company’s profits were great, and during the seventeenth and eighteenth centuries the entire royal family were involved in slave trading enterprises. In 1698 the Royal African Company’s monopoly on the slave trade was broken by the Bristol merchants. 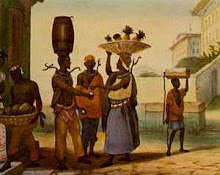 Bristol merchants were practised in fitting out ships, had experience sailing the coasts of France and Spain to Africa where they bought copper from the Africans. This trade had given them the experience needed to trade with the Africans. They traded with kings, chiefs and dignatories and knew that the Africans would not accept inferior goods and so took quality goods to trade for slaves. The towns to which the Bristol merchants sailed were pre-industrial settlements, not unlike Bristol, and trade was not between civilised men and savages, as is a common misconception, but between people of similar standing. Liverpool followed Bristol’s example circa 1700, and the city became the main slaving port in Europe. It had the advantage that the Mersey estuary was deep and so much larger boats could be docked there. Bristol’s merchant ships had to be dragged up on the shallow banks of the Severn River. The economies of scale this afforded meant that Liverpool could undercut the prices offered by Bristol. 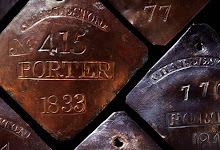 By the early eighteenth century London, Bristol and Liverpool had developed into prosperous slave ports, sending quality manufactured goods to Africa in exchange for slaves, which then crossed the Atlantic and exchanged the slaves for sugar, molasses, hardwoods and money - profit being made at every stage. This system of trade between Britain, West Africa and the Caribbean became known as the triangular trade. By the 1780s, Britain had shipped over 330,000 slaves to the new world and the British economy relied heavily upon the trade. Slave currency: Trade Beads. From the fifteenth century, glass beads were used as currency by European explorers, traders and missionaries to buy objects from local people all over the world, in particular in Africa. There, glass beads were traded for incense, ivory, tortoise shell, rhinoceros horn, palm and coconut oils, timber, gold, and slaves. Many slaves died during the journey from Africa to the new world, known as the “middle passage”, so slavers packed as many slaves as possible into the holds of their ships to compensate for those that would die. There was no sanitation on board the ships. The slaves were so tightly packed together that they could not turn, and they were given barely enough food, drink or air to keep them alive. Disease spread rapidly through the slaves and the dead often remained alongside the living for days. 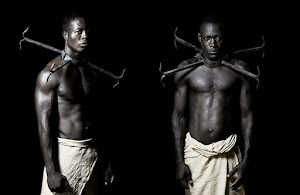 It has been estimated that 10% of slaves died on each crossing, and as many as thirty percent on a bad voyage. 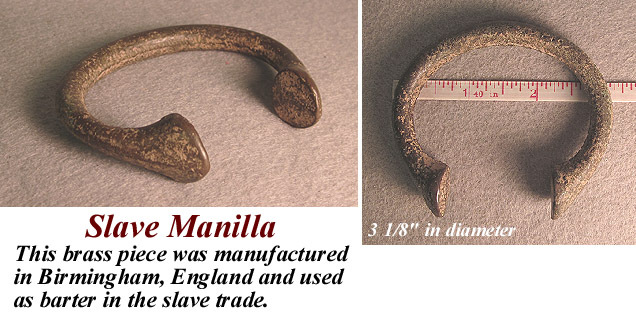 On board, the ship slaves were kept in ankle fetters to prevent rebellion, escape or from committing suicide. Outnumbered by their cargo, the crew of the slave ships lived in fear of a revolt. Any rebellions were savagely repressed, but there was little chance of escaping from the slave ships. They had more chance of freedom if they tried to escape from the plantation. 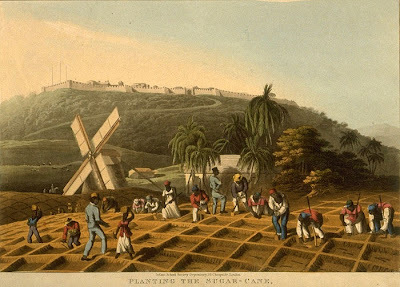 On the plantations, slaves were given the back breaking work of cutting sugar cane in tropical heat. 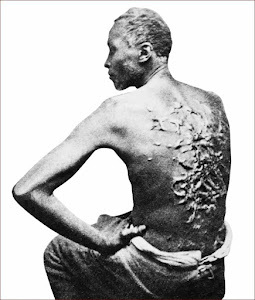 African slaves were used for this job because it was judged too hard for the Europeans. Many slaves were literally worked to death on the sugar plantations, and because so many died, new shiploads of slaves were constantly needed. Punishment was extremely harsh. The whip was the standard punishment for the most trivial crimes and flogging was so harsh it crippled many slaves. 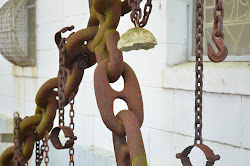 Rebellious slaves were chained together by ankle and neck shackles and made to work in a “chain gang”. 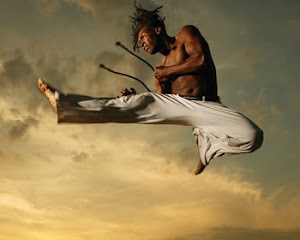 The Africans also lost their ties to their own cultures as they were mixed together from different regions of Africa. Without a common language or background, they came to be identified merely by the colour of their skin by both slavers and owners. 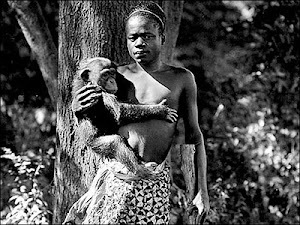 Owners regarded them as objects and property rather than human beings as it suited their consciences to do so. 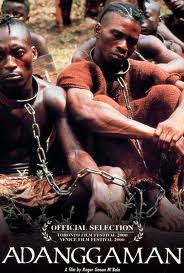 Many people argued that slavery was good for the Africans, as it had introduced them to Christianity and civilisation. The trade was widely supported by the Church and a large number of Quaker families made their fortunes from the slave trade. The Quakers were widely engaged in the trade. 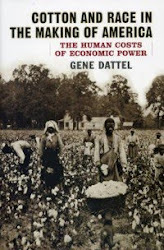 They believed they could bring some humanity to the treatment of the slaves whilst still making a profit from them. 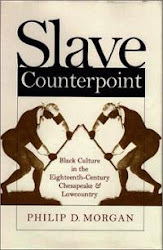 However, there were sectors within society that opposed slavery. 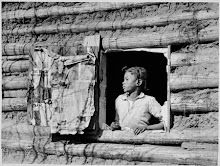 Through the latter part of the eighteenth century, humanitarian feelings towards the slaves grew and the 1780s, a wave of abolitionist fervour swept the country. They were led by the Quakers and in Parliament by William Wilberforce. 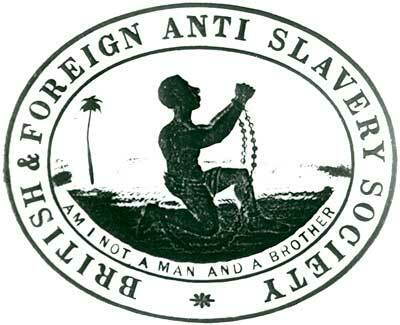 The Society of the Abolition of the Slave Trade was founded in 1787. However, it was not until 1807 that the abolition of the British slave trade became law with the Abolition Act. The Act stated that British involvement in slave trading was to end by the 1st January 1808. 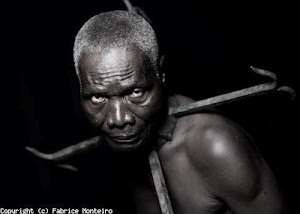 Ending the slave trade did not mean the end of slavery as it was still legal to own slaves. In the Society’s first annual report it stated that there were 220 branches of the society, and 825 petitions against slavery had been presented to parliament with 168,000 signatures. In 1831, the Anti-Slavery Society was established by Wilberforce and Buxton and there was a stream of new abolitionist literature written and circulated. At the same time, slave revolts were taking place in the British dominions - the most famous being Sam Sharpe’s revolt in Jamaica. 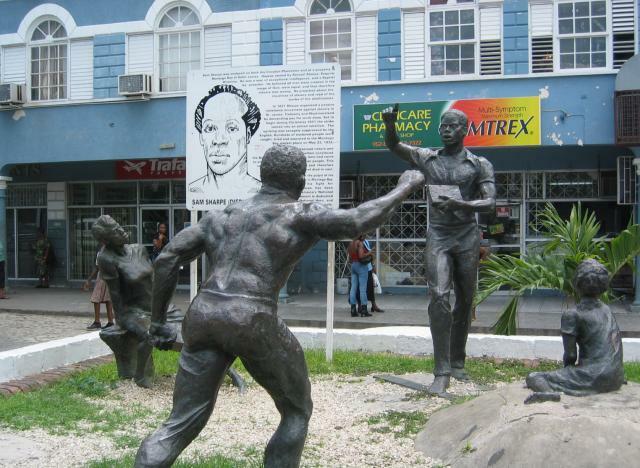 Monument to Sam Sharpe who led the last and most significant slave uprising in Jamaica. 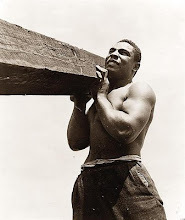 In 1975, following independence, Sam Sharpe was made a National Hero. The Abolition of Slavery Act was passed in August 1833, and came into force the following August. 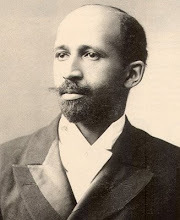 However, in reality, slavery continued under the auspices of the “apprenticeship scheme” which the act had introduced. 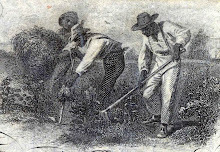 Planters continued to have the right to the labour of their ex-slaves for a period of six years. 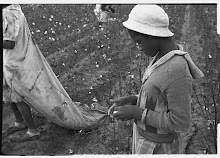 Under this scheme, the ex- slaves were obliged to stay on the plantations and work a ten hour day for this time. Absenteeism would result in imprisonment, and new jails were purposely built for this. Vagrancy laws were introduced under which ex-slaves attempting to leave the plantations would be penalised and land ownership beyond the range of their plots was illegal. 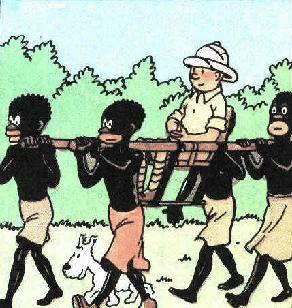 So in reality, nothing had changed for the ex-slaves. The painting of the 1840 Anti-Slavery Convention at Exeter Hall. 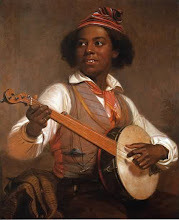 It was not until 1838 after the Anti Slavery Society had produced a barrage of petitions and pamphlets, that the apprenticeship scheme was abolished in the Britain and the British dominions, thus ending slavery as a whole. 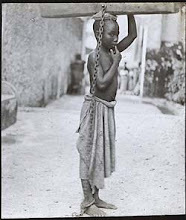 However, the slave trade continued to flourish in other countries. 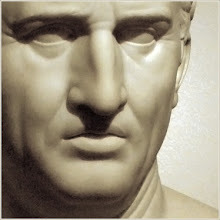 So in 1839, the Society for the Extinction of the Slave Trade and the Civilisation of Africa was founded by Buxton. 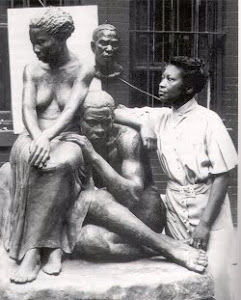 It was presided over by the Queen's consort, Prince Albert and this was the first time that the abolitionist cause had been given the royal seal of approval sixty years after it had begun. By an Act of 1811, it was now a felony rather than merely a technical offence or misdemeanor to be in any way implicated in the slave trade. It was in this year that the Royal Navy became involved in anti-slavery patrols. Five ships were sent on an anti-slavery patrol of the west coast of Africa. This was short lived as in 1812 the Britain became involved in a war with America (1812-15) and so all available ships were required to fight there.